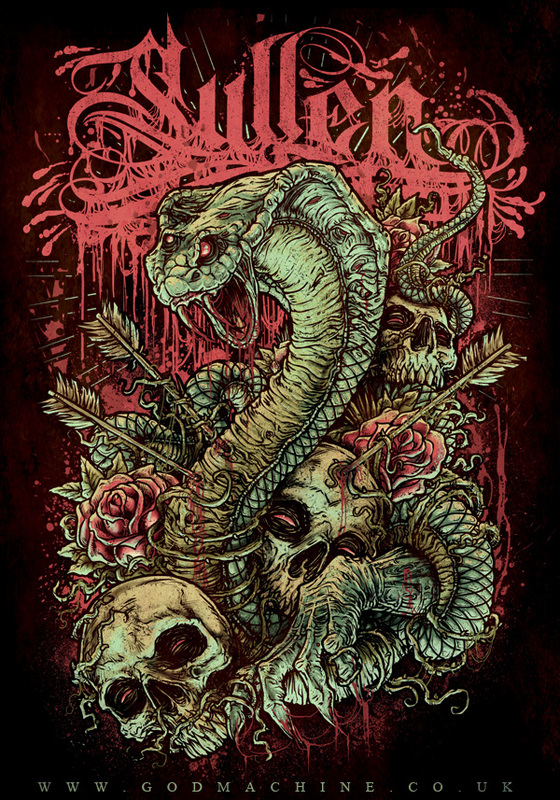 Did a design for Sullen last year that was used for team rider Chad Knight. Was great working with them and we ended up getting a great tee out of it. Also was excited to be able to customize one of their existing logos which makes a great back print. I am a freelance designer and illustrator. Tour posters, gig flyers, band merch', clothing companies, album covers, skateboards...and more. Luxury coffee table Hard back book. 192 pages.